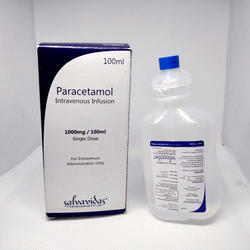 Providing you the best range of paracetamol iv infusion, ofloxacin 100 ml infusion, fluconazole ip infusion, linezolide infusion, ofloxacin 200 mg ornidazole 500 mg infusion and levofloxacin sodium infusion with effective & timely delivery. We Salvavidas Pharmaceutical Pvt Ltd are a leading Manufacturer and Exporter of Ofloxacin Infusion in different strength and packing. Our manufacturing facility is certified with WHO-GMP. 100 ml Ofloxacin Infusion is a medicine that is used for the treatment of urinary tract infections, respiratory infections, skin infections, soft tissue infections, transmitted infections, eye and ear infection and other conditions. We Salvavidas Pharmaceutical Pvt Ltd are a leading Manufacturer and Exporter of Fluconazole Ip 200 Mg / 100 Ml Infusion in different strength and packing. Our manufacturing facility is certified with WHO-GMP. We are engaged in offering well processed Fluconazole Tablet IP that is procured from the reliable vendors under the supervision of highly skilled and experienced procurements agents. Our offered tablets are tested against various quality parameters as per the set universal norms. In order to attain maximum satisfactions of our clients, our offered tablets are available in different packaging options as per their requirements. 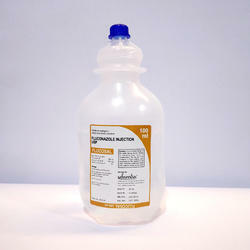 We Salvavidas Pharmaceutical Pvt Ltd are a leading Manufacturer and Exporter of Linezolide 300 Ml/ 600 Mg Infusion in different strength and packing. Our manufacturing facility is certified with WHO-GMP. Backed by a team of highly skilled professionals, we are occupied in distributing, trading and supplying g supreme quality Linezolid 300ml Infusion. This injection is processed by our vendors using high quality ingredients and latest technology in compliance with the set industry norms. Apart from this, the our injection is rigorously tested at vendors' end on various parameters of quality to ensure its flawlessness. We Salvavidas Pharmaceutical Pvt Ltd are a leading Manufacturer and Exporter of loxacin 200 Mg Ornidazole 500 Mg / 100 Ml Infusion Infusion in different strength and packing. Our manufacturing facility is certified with WHO-GMP. We Salvavidas Pharmaceutical Pvt Ltd are a leading Manufacturer and Exporter of Levofloxacin 500 Mg + Sodium Cl. 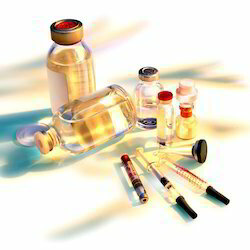 900 Mg/ 100 Ml Infusion Infusion in different strength and packing. Our manufacturing facility is certified with WHO-GMP. We Salvavidas Pharmaceutical Pvt Ltd are a leading Manufacturer and Exporter of Moxifloxacin 100 Mg Infusion in different strength and packing. Our manufacturing facility is certified with WHO-GMP. We are the most eminent manufacturer, trader and supplier of excellent quality Moxifloxacin Infusion. The moxifloxacin infusion offered by us is widely demanded in the medical sectors due to its effectiveness safe usage. This moxifloxacin infusion is used in the treatment of bacterial infections. 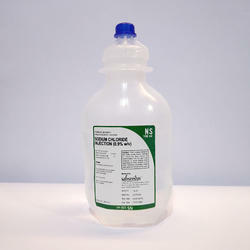 Customers can avail this moxifloxacin infusion from us at reasonable rates in bulk manner. We Salvavidas Pharmaceutical Pvt Ltd are a leading Manufacturer and Exporter of Potassium Cloride 200 Mg / 100 Ml Infusion in different strength and packing. Our manufacturing facility is certified with WHO-GMP. Metronidazole 500 MG Infusion is an antiprotozoal which helps in treating infections in the stomach, genital areas. It is not recommended to take with alcohol with this medicine. Take this medicine only if it is necessary to reduce the development of resistance. 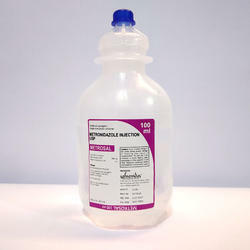 Normal Saline (Albert) 0.9 % Infusion is a sterile solution used to treat low sodium levels and fluid loss (electrolyte and fluid replenishment). This medicine should be used with caution in patients with a known history of edema.